How do you separate the proteins from the rest of the carbs in your vegan protein? 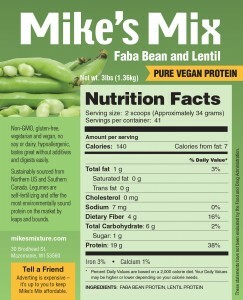 Home / Blog / FAQ Other Products / How do you separate the proteins from the rest of the carbs in your vegan protein? In short, the answer to this is we don’t separate the protein from the carbohydrate in our vegan protein. Luckily, nature does this work for us and as such, heavy processing isn’t necessary. We use only the pulses or seed protein of the Faba Bean and Lentil legume, which is designed to produce a new plant. Therefore it is a powerhouse of protein which enables these legumes to grow before they can photosynthesize (produce energy from sunlight and carbon dioxide) on their own. Our new Vegan Protein is not a supplement but a real food product consisting of only two ingredients: Faba Bean and Lentil pulses. These pulses go through minimal processing which includes: cleaning, dehulling, drying and milling. Read more about the processing of legumes. 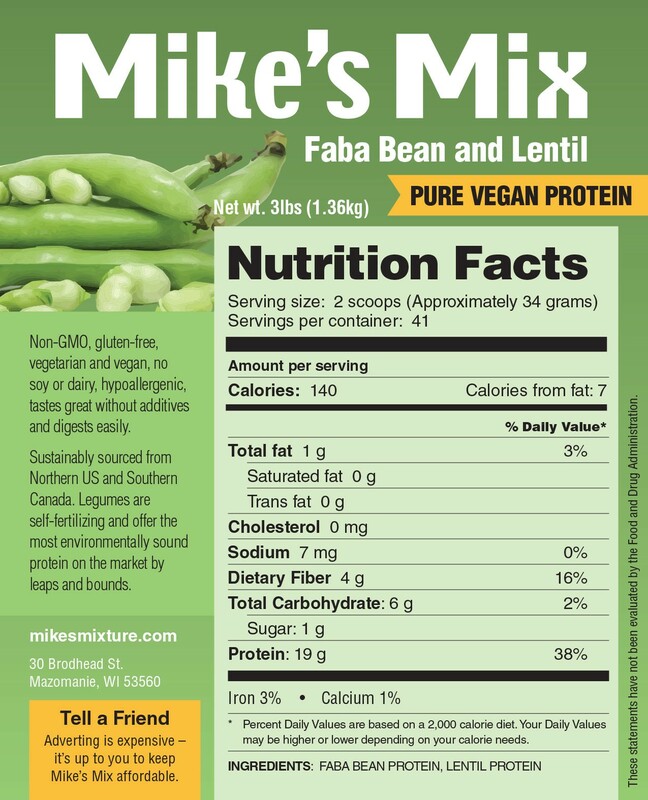 The end product is 60% protein by volume which is exceptionally high in a real food product where the remaining volume is composed mainly of fiber: see complete nutrition facts below. As a real food product this protein is not designed as a stand-alone protein shake (e.g. put in a bottle, shake and drink) but instead is a high protein addition to a clean diet. Use our Vegan Protein in smoothies and any other cooking or baking that requires flour.